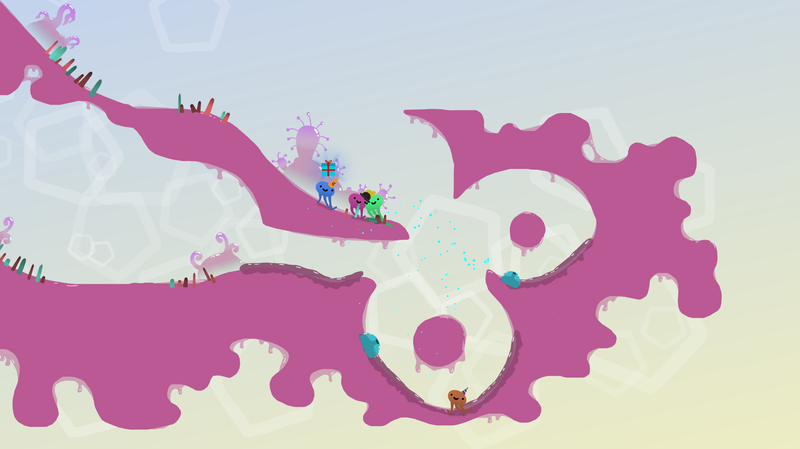 Muddledash is a couch-competitive octopus racing game. You are a wriggly little octopus, trying to get to the most bopping party of the year with a gift in your tentacles before all your friends. Just one catch - there's only one gift. Fashionably late is now out of season.